I’m back in Austin now. I chose not to keep up with the blog as I went. A combination of 16+ hours of light for photography each day, lots of travel time, time with friends, and a little bit of allergies all conspired to help me choose sleep instead of half-hearted writing into the night. But I’m back, and have four more blog posts in the works after this one. Sunrise each morning was about 5:50 AM, so I’d get up every morning about 5:00 and head out to see what the sunrise would bring. We never had any truly spectacular colors in the morning, but it was still beautiful to be in this amazing place to see how the sun would first light the mountains. 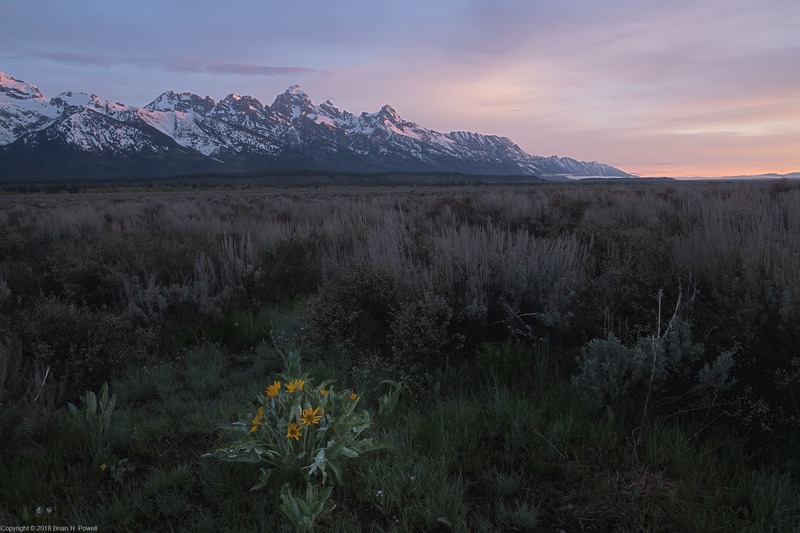 Balsam Root, the yellow flower in the foreground of the photo below, was blooming in many places in the valley. 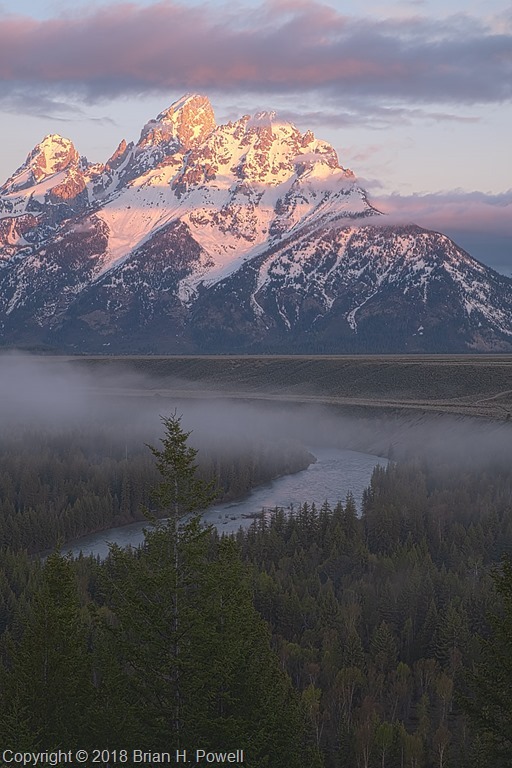 Some mornings would start with fog in low-lying areas. Clouds in the mountains were constantly changing. 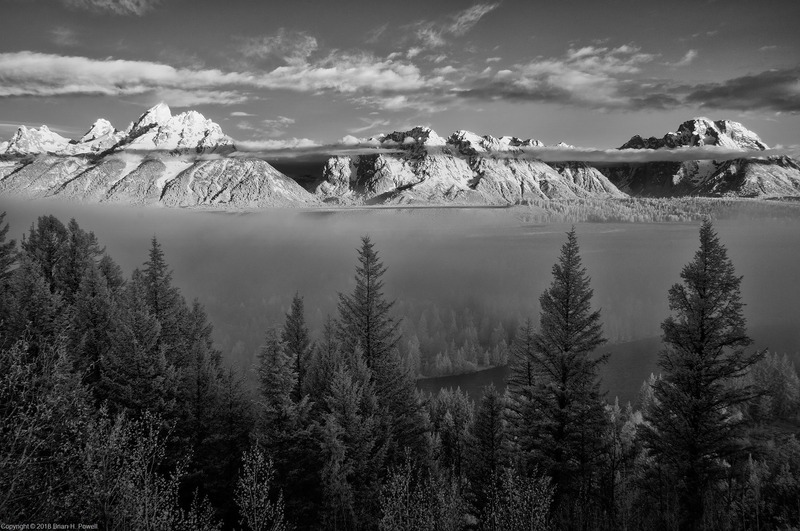 This infrared photo is from the same day as those in my earlier blog post about the Snake River Overlook. It was taken about fifteen or twenty minutes before the images I posted last week. I dropped by another couple of famous places for photography. 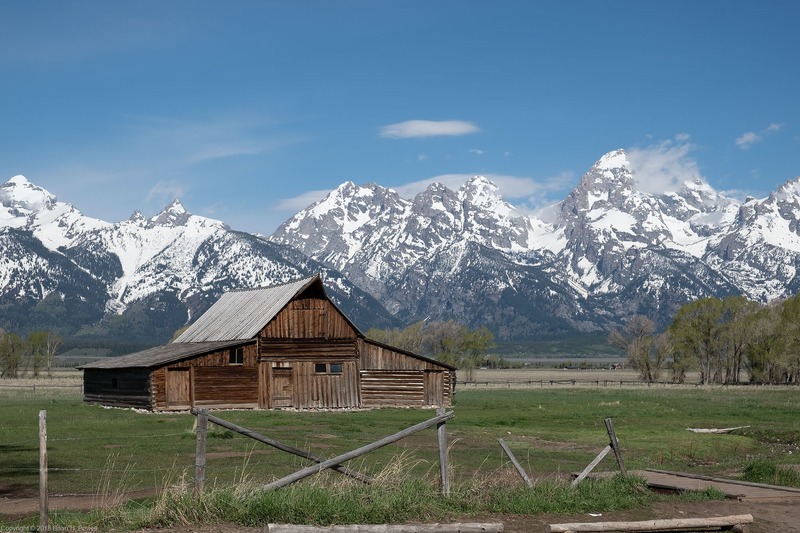 Mormon Row is a section of Grand Teton National Park that I suspect most people don’t visit, but is famous among photographers. 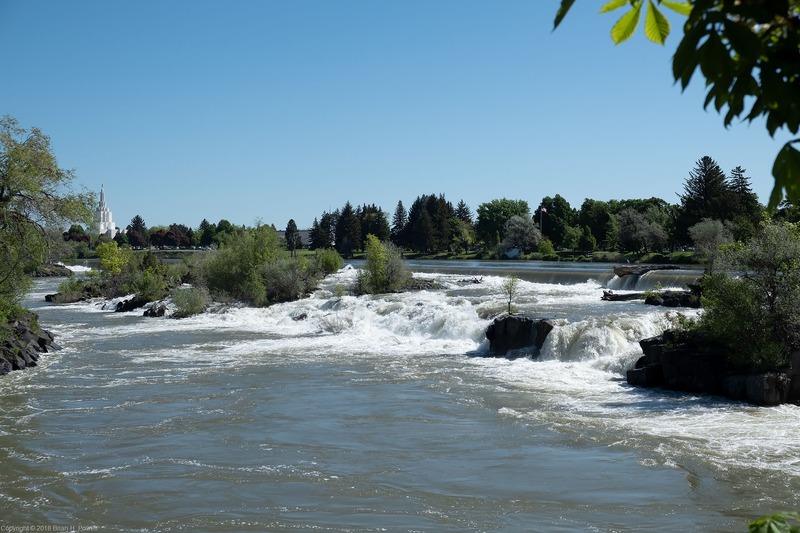 A group of Mormons from Idaho homesteaded here beginning in the late 1800’s, and lived here through the mid-1900’s before being sold to the National Park Service. Perhaps most famous is the Thomas Alma Moulton barn, shown below. 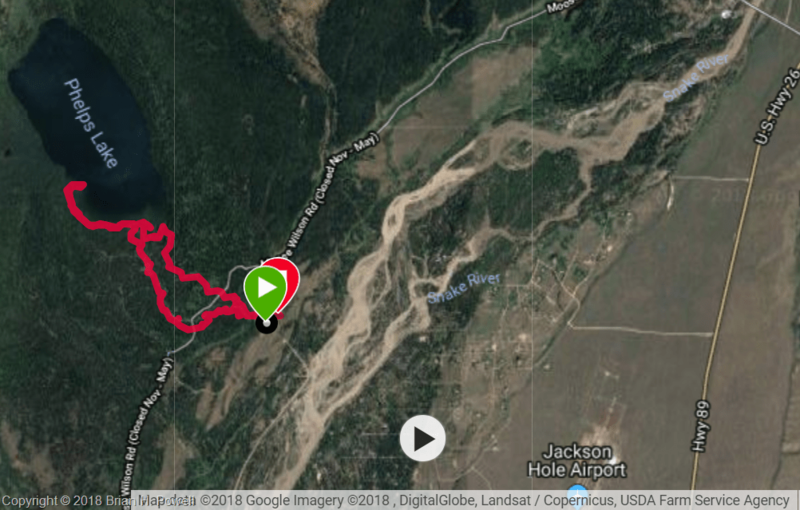 I didn’t do much hiking this trip, but I did take an easy five-mile hike on Tuesday up to Phelps Lake. 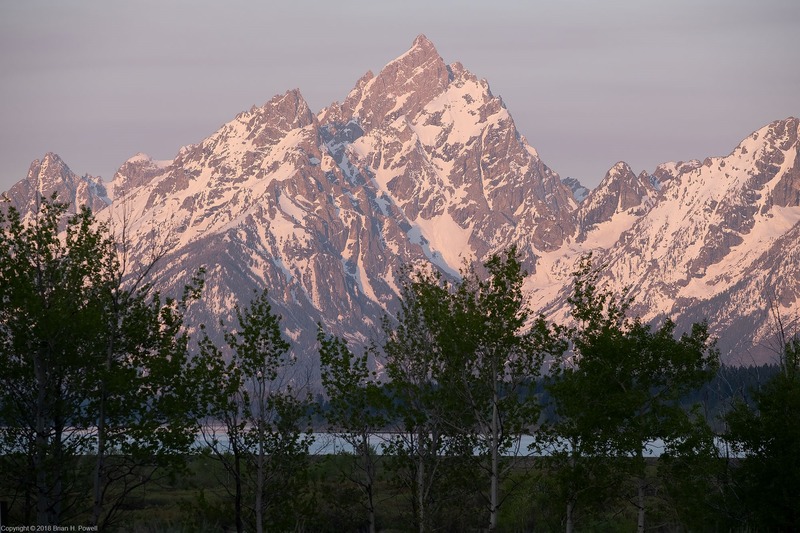 This is where I saw the moose in my earlier blog post about Grand Teton Wildlife. 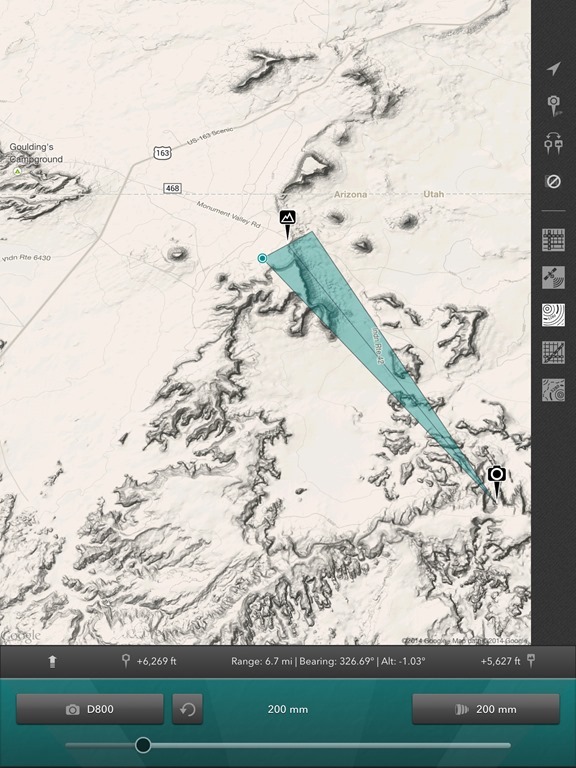 Here’s the GPS track for the hike. 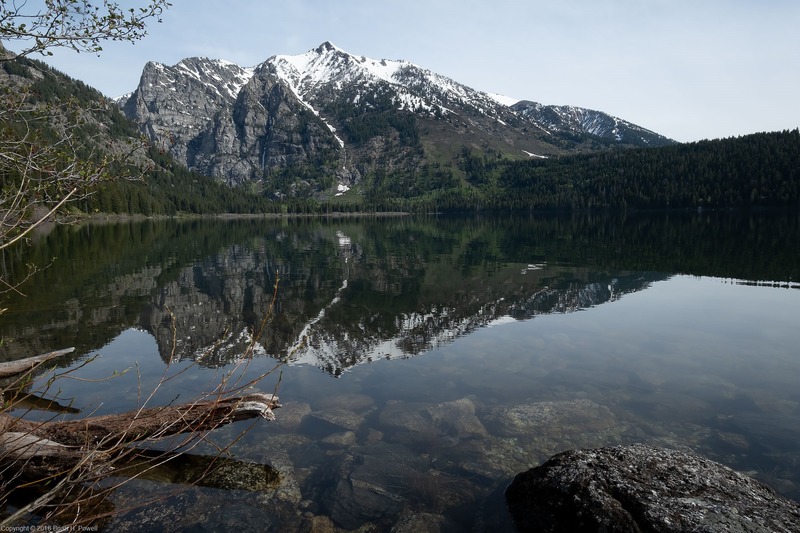 It’s part of the Laurance S. Rockefeller Preserve in the southernmost section of Grand Teton National Park. 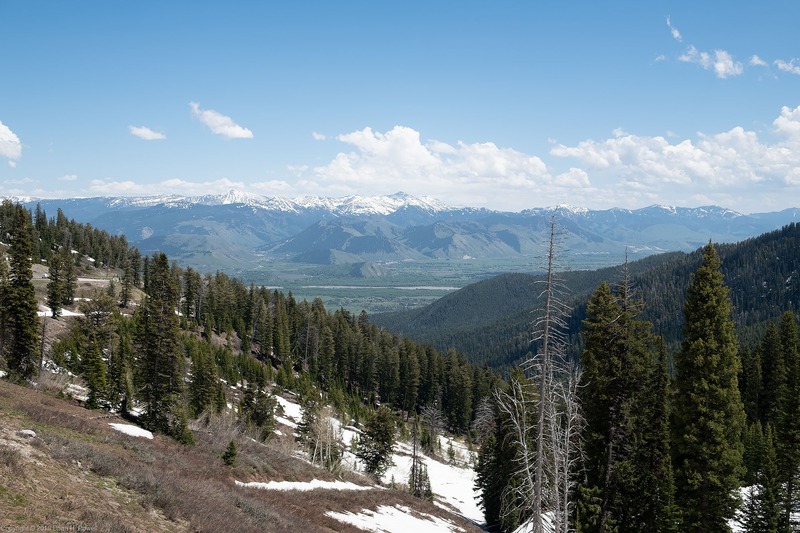 This section was donated by Laurance S. Rockefeller to the National Park Service in 2001. Pro Tip: If you’re going to use your iPad for your alarm clock, confirm that it’s set to the right timezone, so that you don’t accidentally wake up at 4 AM when you were planning for 5 AM. This morning’s forecast was for mostly clear skies, so I woke up early and headed into the park. 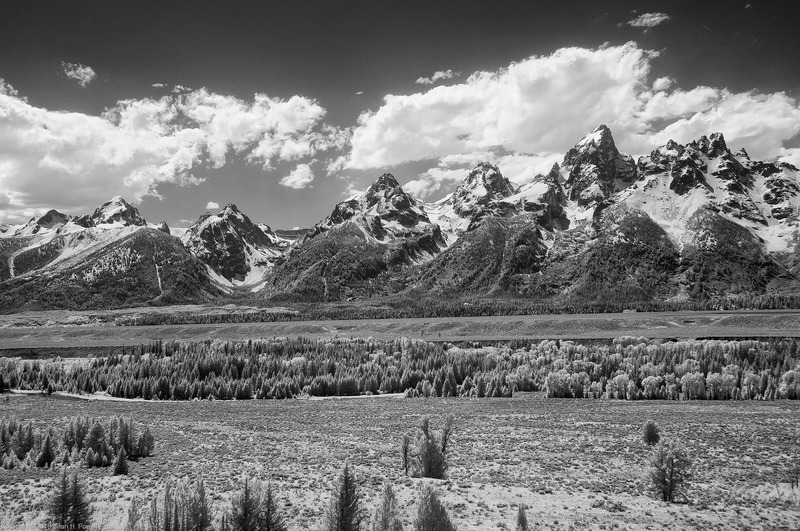 I decided to start at the Snake River Overlook, made famous by Ansel Adams in his 1942 photo, The Tetons and the Snake River. The view’s not quite the same, because the trees have grown so much taller in the last 76 years. I spent about an hour there, before and after sunrise, shooting a variety of compositions. Here are a couple of similar photos that I liked, one visible light, one infrared. The first is closer to sunrise, with the fog still lifting off the river. 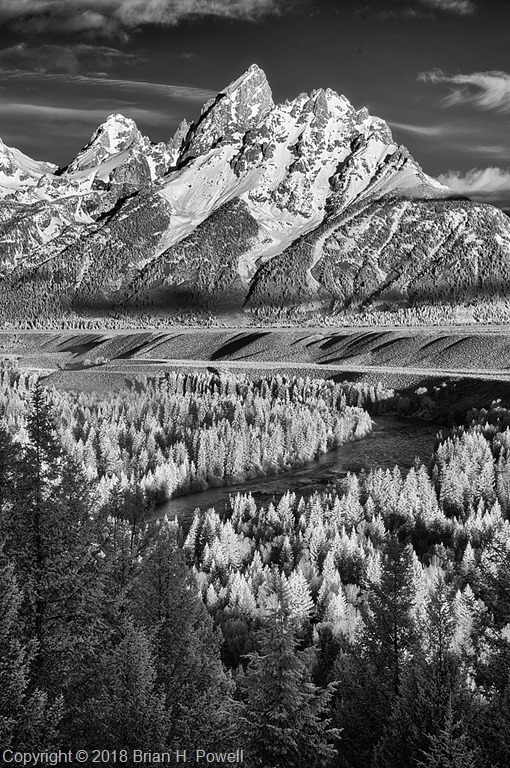 The infrared image is from a bit later, after the sun started to illuminate the foreground. Which one do you like better? 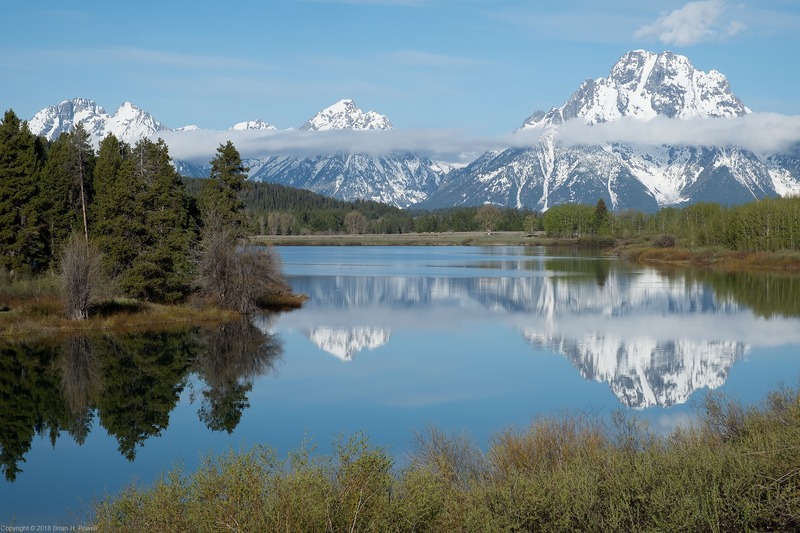 After I left the overlook, I headed down to Schwabacher’s Landing to take advantage of the reflections in the relatively still water. I saw elk and geese today, and hoping I see more wildlife tomorrow. 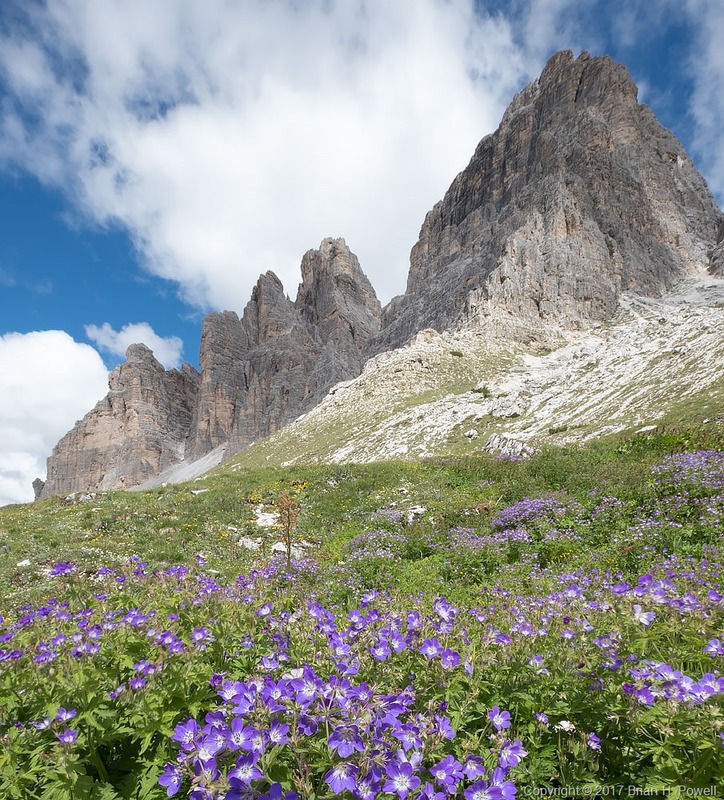 The Tre Cime de Lavaredo are the three mountain peaks that are the highlight of the Tre Cime Natural Park. (In German, they are called Drei Zinnen.) From the end of the road at Rifugio Auronzo, we began our three mile hike around Tre Cime to Rifugio Locatelli. The hike took us up to 8000 feet, to a saddle between Tre Cime and the nearby Monte Paterno (Paternkofel), where we had lunch. The trail descended from the pass back down a few hundred feet, before ascending again to Locatelli, back at 8000 feet elevation. Temperatures were in the 50’s, and it was somewhat windy. 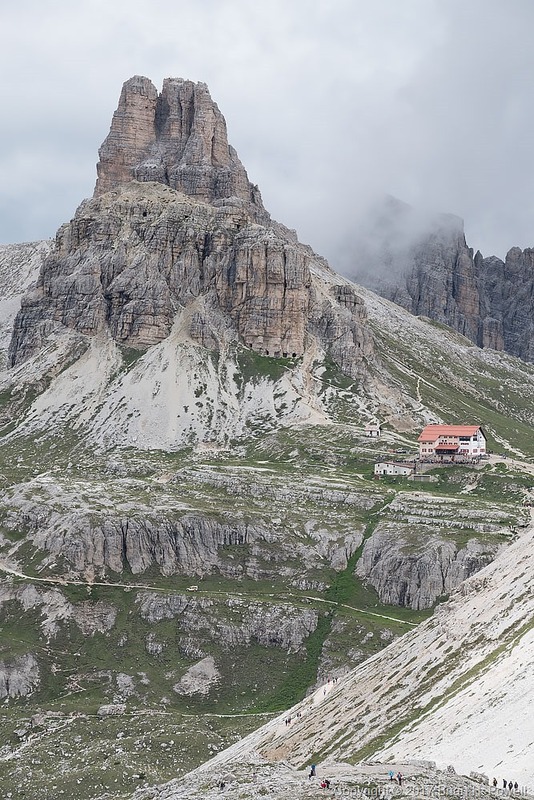 Shown below, the Locatelli hut, with the Torre di Toblin behind it. On the side of the Monte Paterno, we saw some climbers on a Via Ferrata (Italian for “Iron Road”). These are hiking and climbing routes that have a cable, fixed to the rock every few meters. You wear a harness with two carabiners. As you reach one of the iron stays in the rock, you unclip one carabiner and reattach it to the cable on the other side of the stay, then follow with the other carabiner. Thus, you are always attached to the cable. Many of the Via Ferrata in the Dolomites are left from World War I. The Dolomites were a major battleground in the war between Austria-Hungary and Italy. 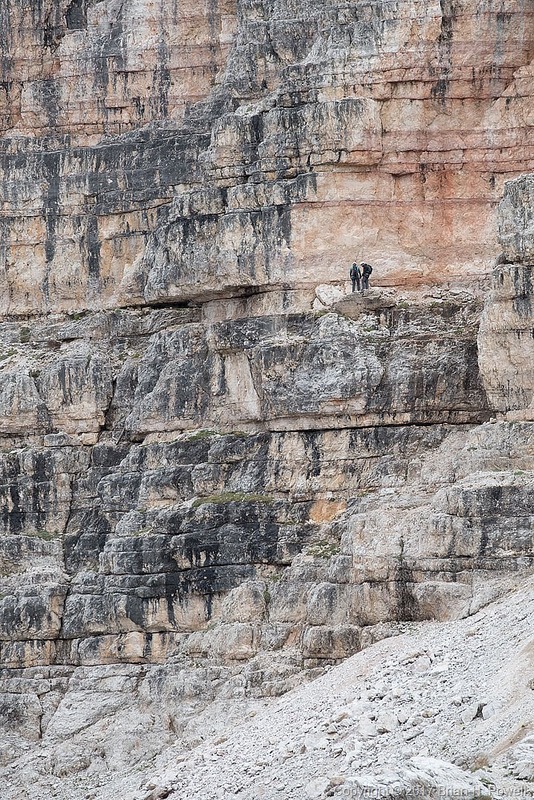 In the photo below, you see a couple of people on a fairly flat, easy section of Via Ferrata on Monte Paterno. Many dayhikers come for lunch or dinner in the cafe. Along with a lot of people, we saw a few dogs of all sizes on the trail. 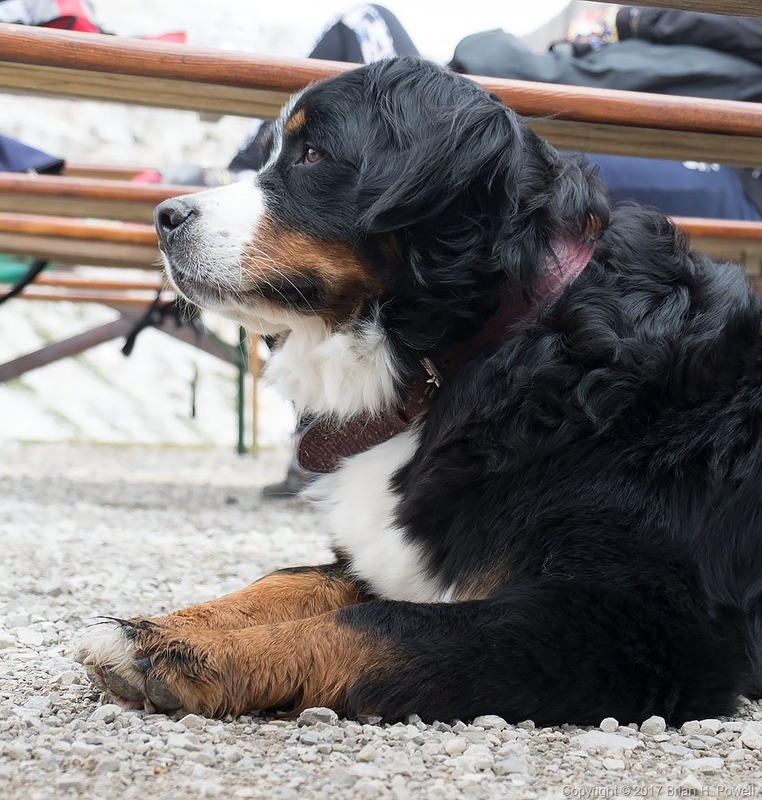 Here’s a photo of a beautiful Bernese Mountain Dog. That night, the barometric pressure began to rise, and we set our alarms in hopes of clear skies for night photography. We got started a little bit late, so this turned into a bit of night photography combined with pre-dawn photography. 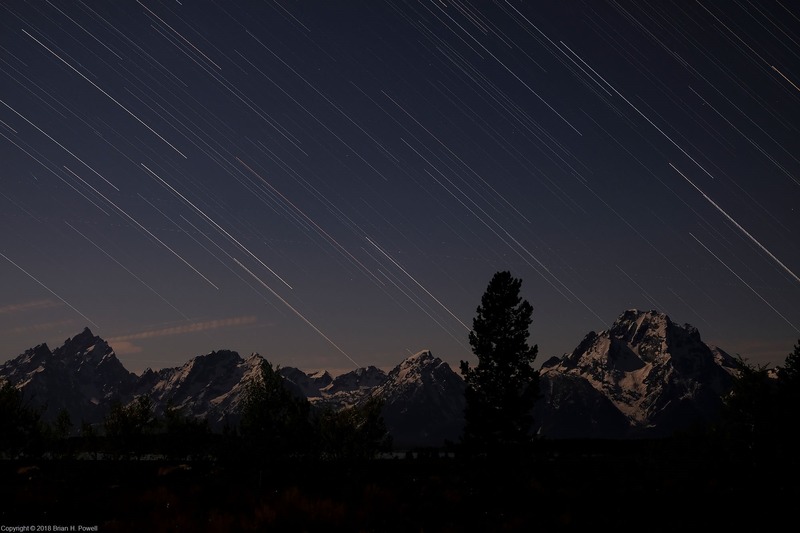 Here’s a time-lapse sequence showing the transition from night to twilight. We returned to bed for an hour of sleep before heading out for sunrise. 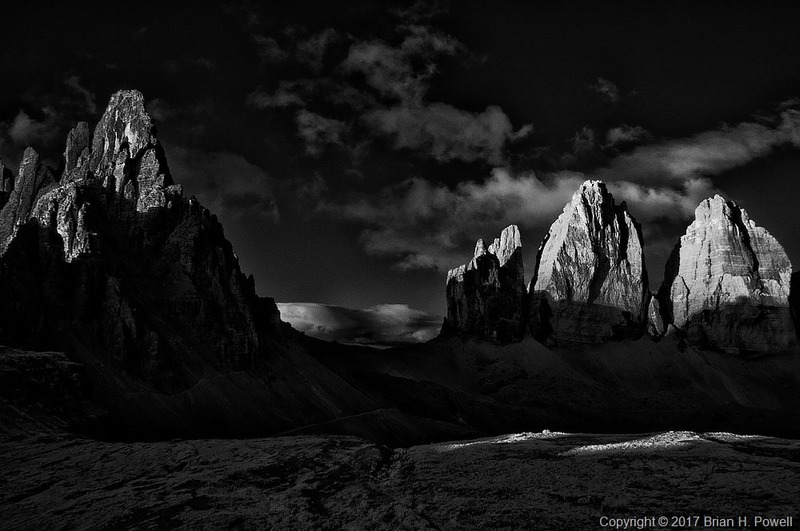 Here’s one of my favorite infrared images of the dawn light hitting Monte Paterno and the Tre Cime. 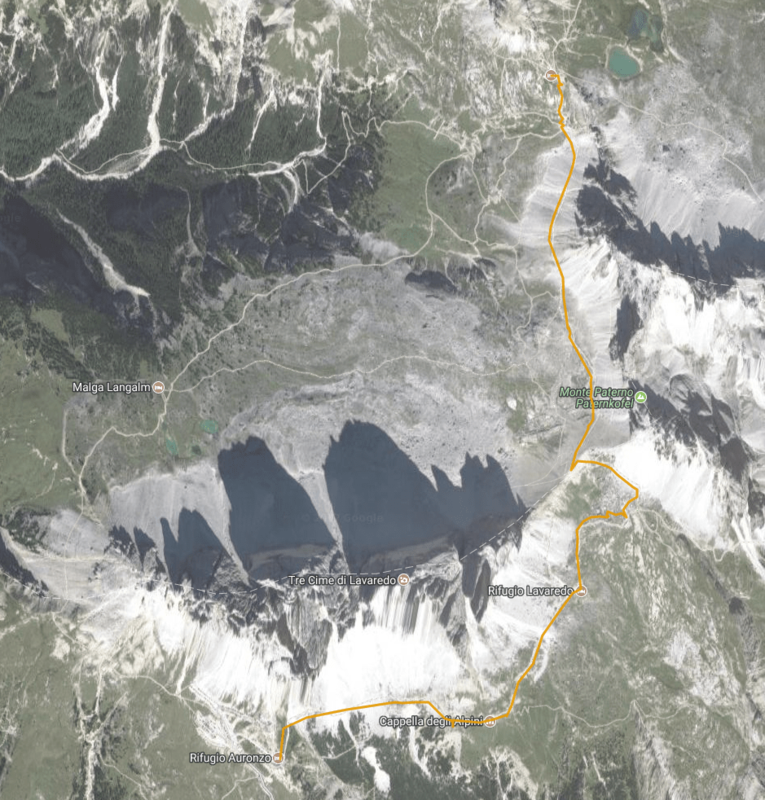 We returned again to bed for another hour of sleep before breakfast, and then began our hike back to Rifugio Auronzo, where we waited for our taxi that would take us to Cortina. Up next, Cortina and Venice. Monday morning, we awoke at 5:30 AM to subdued winds and temperatures in the high 30’s. It wasn’t calm, but it was less windy than the evening before. The sky was almost clear. We drove about 2/3 of a mile east of our campsite for a good view. The image above and the next image are (lightly processed) HDR images, where I combined a couple of different exposures to get a little more highlight and shadow detail. 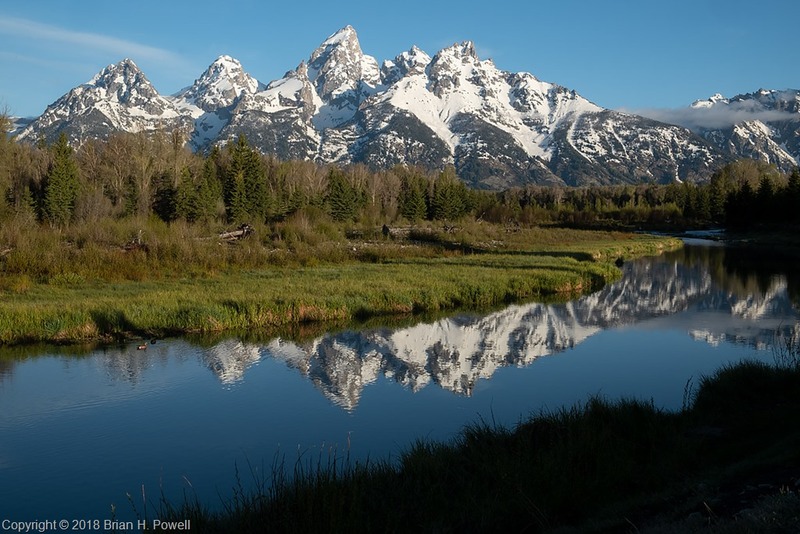 In the image below, you can see the formation called the Totem Pole on the right center of the frame. It’s about 420 feet tall. In the next image below, I’ve highlighted the view back towards The View hotel. This was taken with my Nikkor 80-200 f/2.8 lens at 200mm. 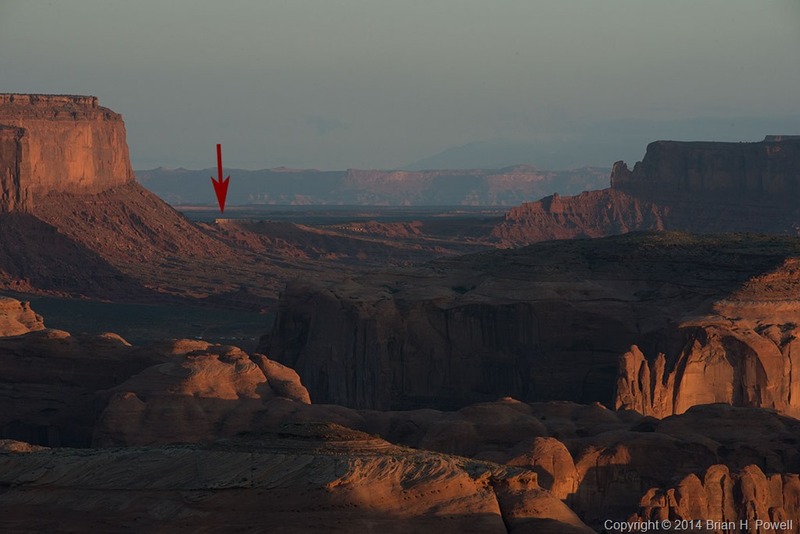 Here’s the shot in Photo Transit, which says that the hotel is about 6.7 miles away, with Utah in the distance beyond. 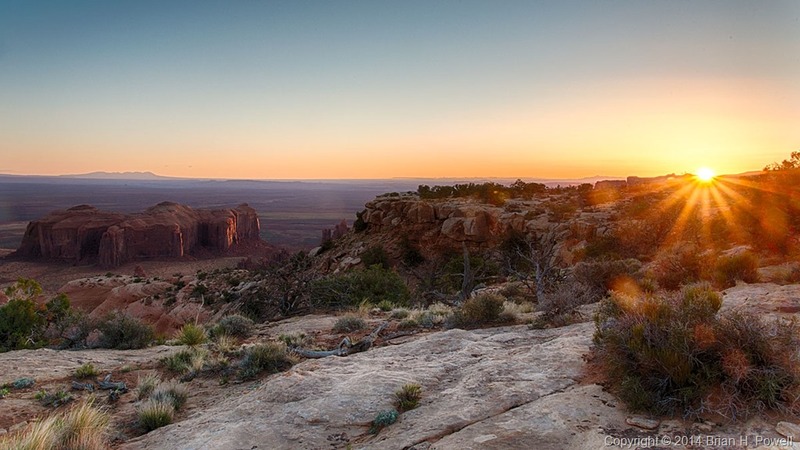 As the sun rose higher in the sky, we packed up our photo gear and drove back to our campsite for breakfast, then packed up the camp for the long drive back to Monument Valley. We enjoyed hot showers and a nap when we got back to the hotel. 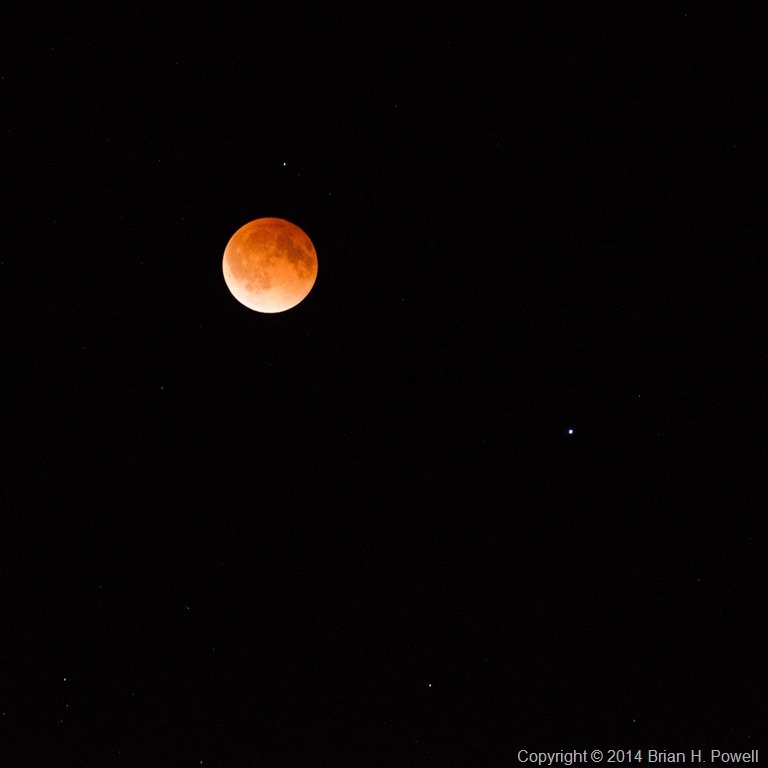 Early Tuesday morning was another event we were looking forward to: a full lunar eclipse. I thought about going out late to do some light painting, but couldn’t really scout out a good location for it. (I learned light painting technique from Michael Frye in Yosemite. He wrote a blog post about his eclipse photography.) I ended up staying at my hotel and shooting from the balcony. 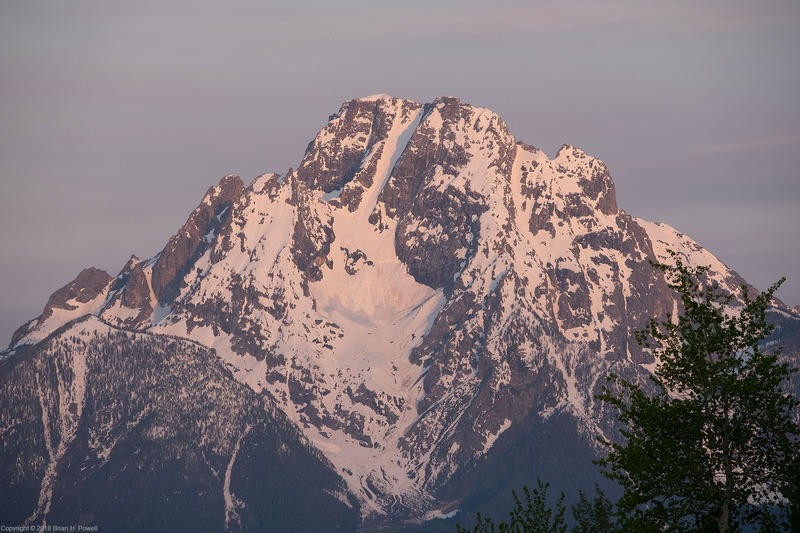 First, a shot of the full moon rising beyond Merrick Butte. I also tried a 10-second exposure at ISO 6400 to try to capture the Mittens with the stars. There’s a little too much light pollution for this to be effective. I didn’t bring my big lens on this trip; the longest I had was a 200mm. Still, I did manage to capture this image of the “blood moon” during the eclipse. Mars is to the lower right of the moon. The landscape lost light as more of the moon was obscured, so I decided to try to capture a video of the stars in motion. Each of these images was a 5-second exposure at ISO 6400, and they were made about 20 seconds apart. For best viewing, watch it on YouTube in full screen with the highest (1080p) resolution. I have to admit I just started the intervalometer with the camera on a tripod and went back to bed for a while. In the video, you’ll notice a couple of airplanes fly by. 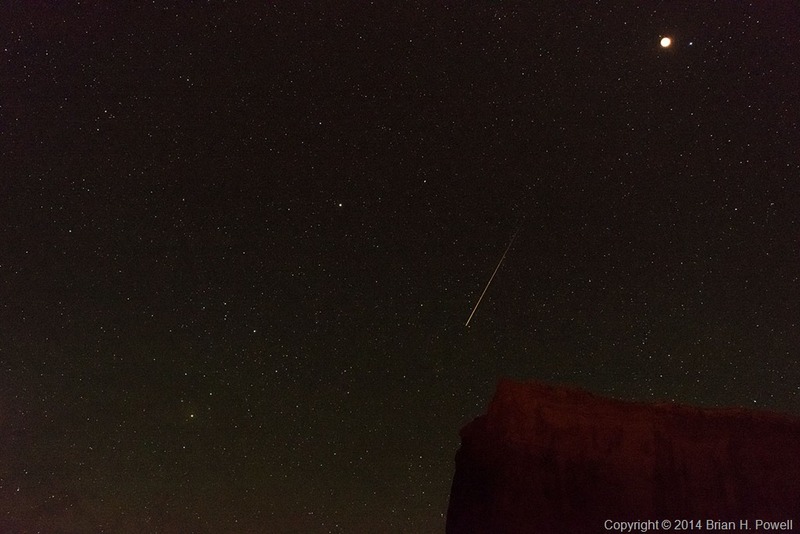 I was lucky enough to have a meteor show up in one of the frames, seen below. 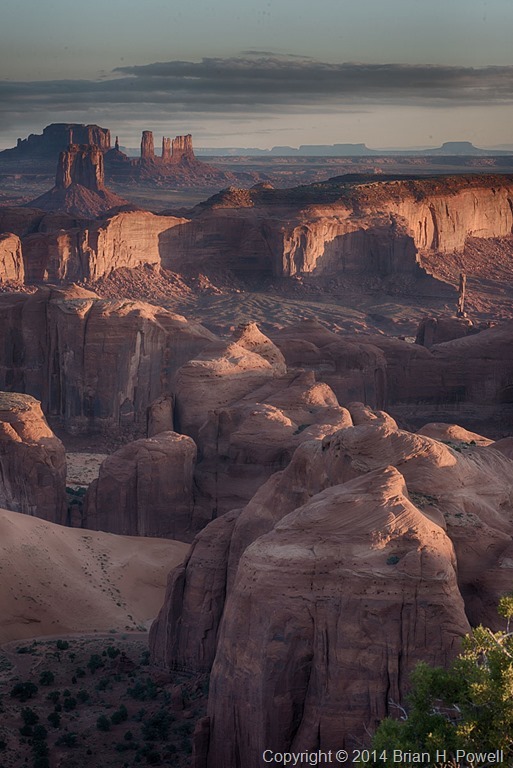 The next day, we traveled to Canyon de Chelly. More on that in the next blog post.